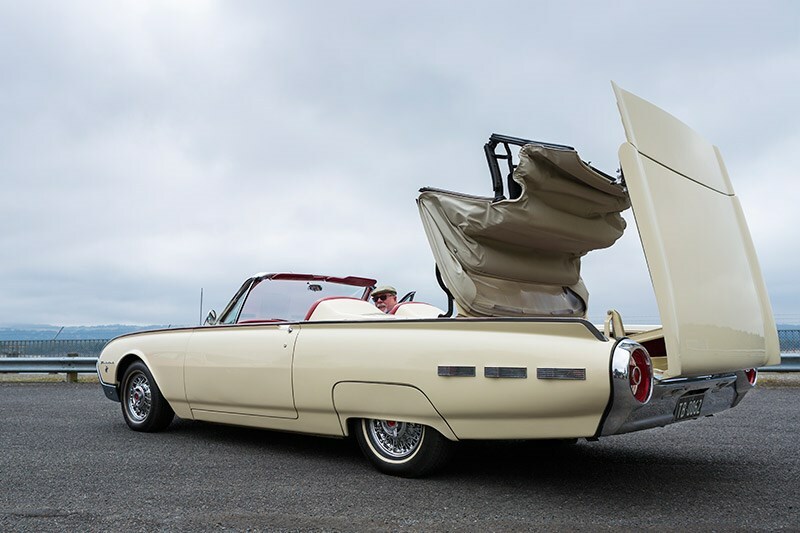 Not many cars that rolled down North American production lines during the 1960s came with more presence and character than a 1961-63 Ford Thunderbird. Huge pointed fins were by this time well past their prime but new gimmicks were tumbling off drawing boards all across Motown. 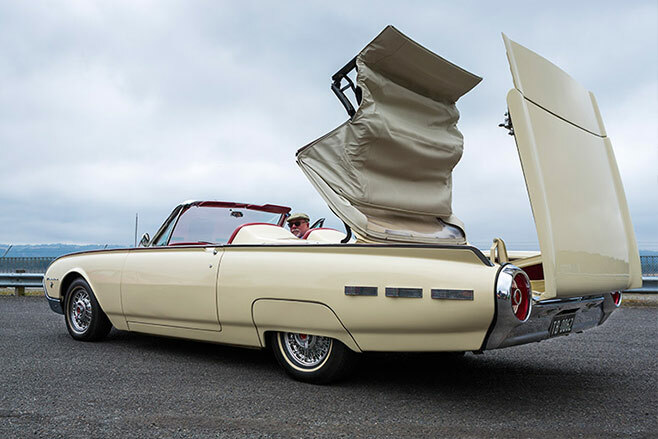 Buick was fiddling with hidden headlights for its Riviera, Lincoln had already brought back the ‘suicide’ door and the frumpy 1958-60 Thunderbird was about to be replaced by a car that looked ready for the launch pad at NASA. 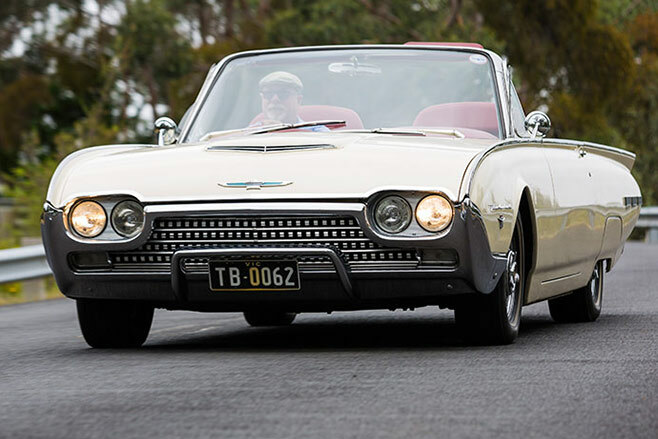 Nicknamed ‘Big Bird’ when new but retrospectively dubbed ‘ Batmobile’, these T-Birds won no awards for elegance but their ability to turn heads was undeniable. The new shape sat on the same wheelbase as the previous model but those spear-tip front guards added 50mm to overall length. 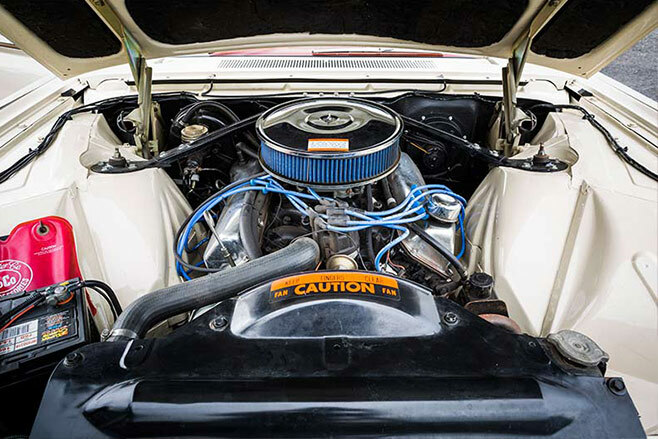 The only engine available to Thunderbird buyers was a 6.4-litre overhead-valve V8 but it came in two levels of potency. 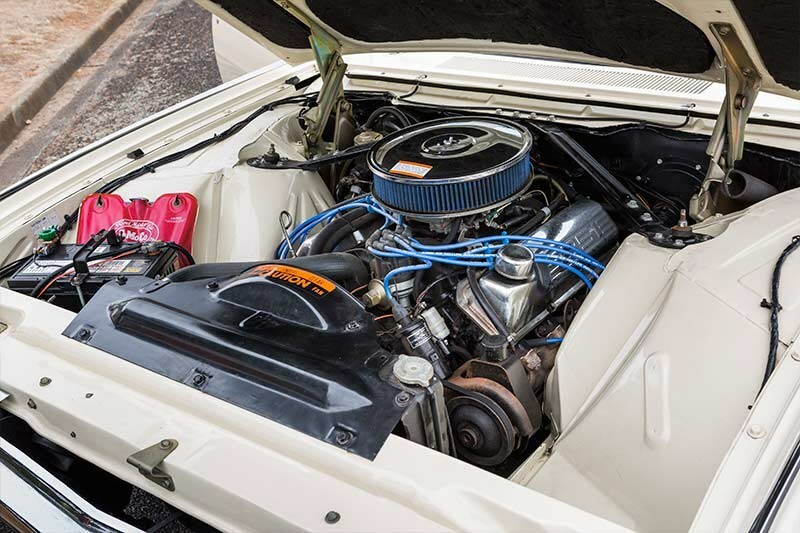 The basic ‘Z Code’ motor with a single four-barrel carburettor delivered 224kW, a few ponies down on the ‘M Code’ with a trio of dual-throat Holley carburettors and rated at 298kW. Back in 1958 when Ford dumped its two-seat design in favour of a four-person layout, not many in management seemed to care that a ‘sports’ car really should be a two-seater. Then along came Executive Row Golden Child and ‘father’ of the Mustang Lee Iacocca who suggested exactly that. 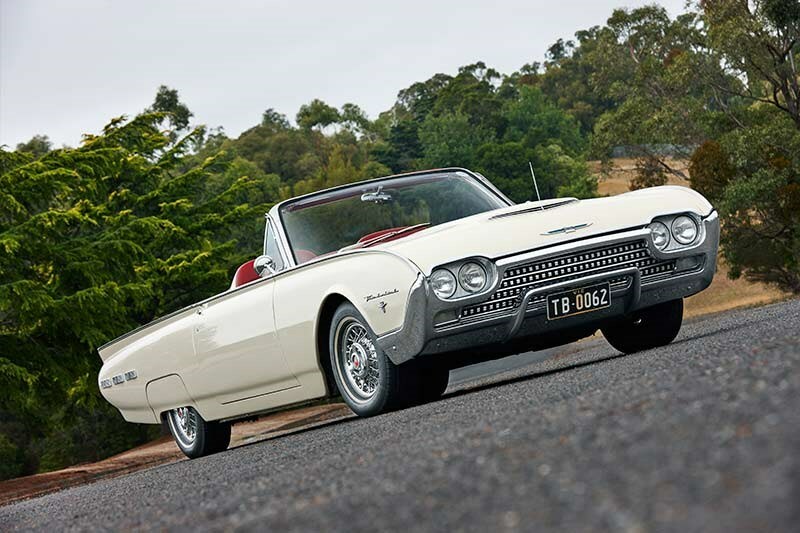 Lo and behold, for 1962 the Thunderbird range was expanded to include a Sports Roadster. 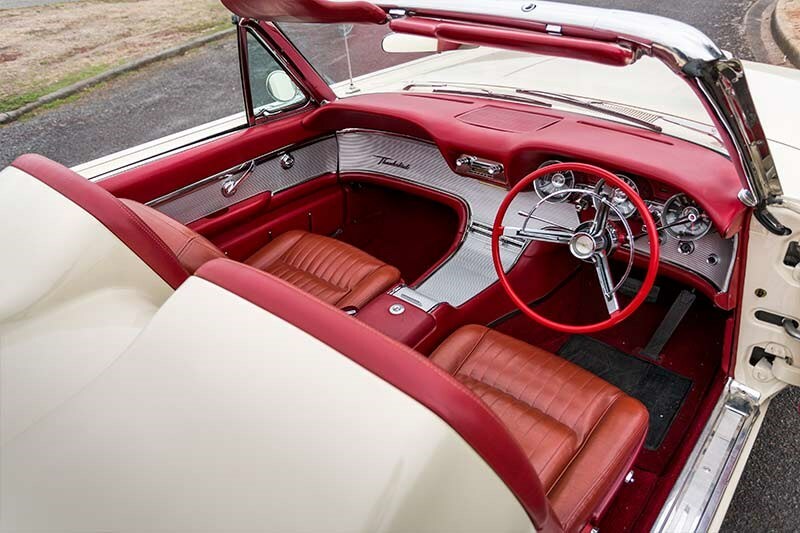 Nothing about the Roadster was actually different from the basic Thunderbird convertible apart from a removable fibreglass cover over the back seat that included padded head-rests for the two front seat occupants. Kelsey-Hayes wire spoke wheels were included, as was a passenger grab handle and Sports Roadster emblems but the high-performance engines were an extra-cost option. The Roadster cost $650 more than a standard T-Bird convertible and buyers baulked at the idea of paying extra for a car that wasn’t fooling anyone. 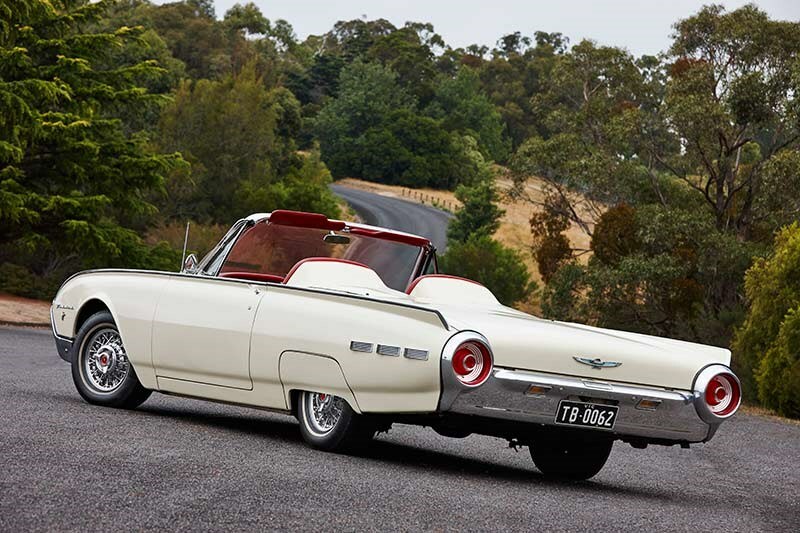 Just 1427 Roadsters were sold during 1962 – a lot of those probably going to dealers for posing at the Country Club – but sales for 1963 plunged to just 455 cars. Most companies would give the Roadster idea up as a bad joke but Iacocca’s influence kept it on the books until 1964. Its spot in this company comes from a combination of attributes. Thunderbirds of this shape and age are an enticing car in their own right and the Roadster top adds a further element to its attraction. Second on the list of plus-points is scarcity. 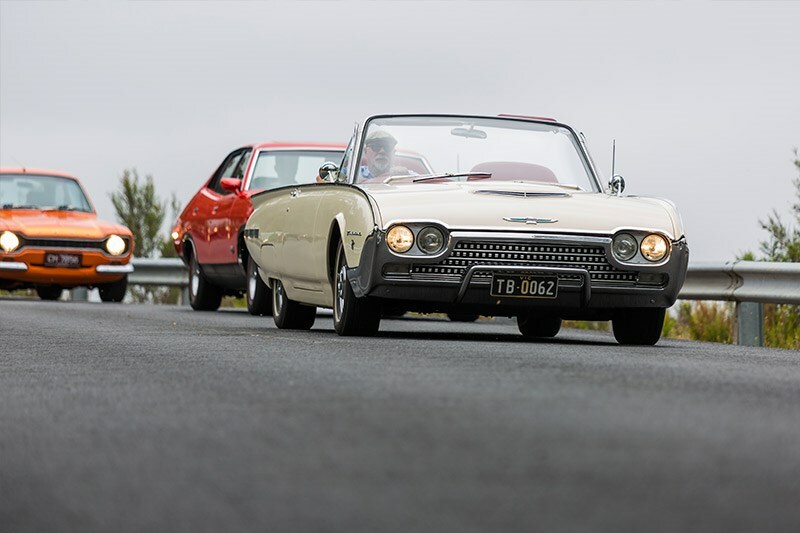 The US-based Thunderbird Registry lists 303 survivors from the 1962 model year and only 119 of the 1963 version. Then we come to price. 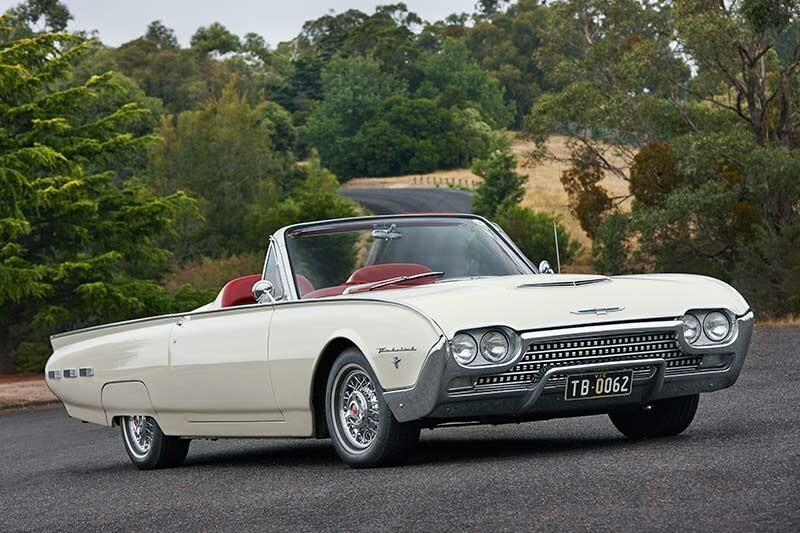 In common with the GT Mustang, T-Bird values peaked a few years back and have become more affordable. Currency conversions, freight and other on-costs need to be considered but they still offer very decent value with potential for medium-term growth. Verification is important. 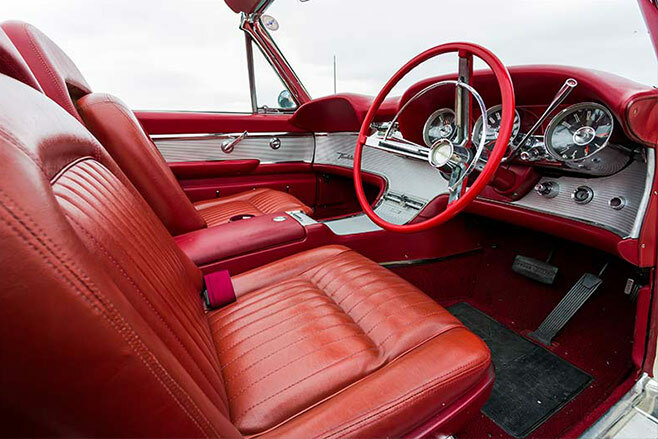 As the Roadster panel was sold through dealers as an accessory and could be attached to any convertible T-Bird, cars with original documents showing them to be Roadsters from the outset are well worth seeking out. 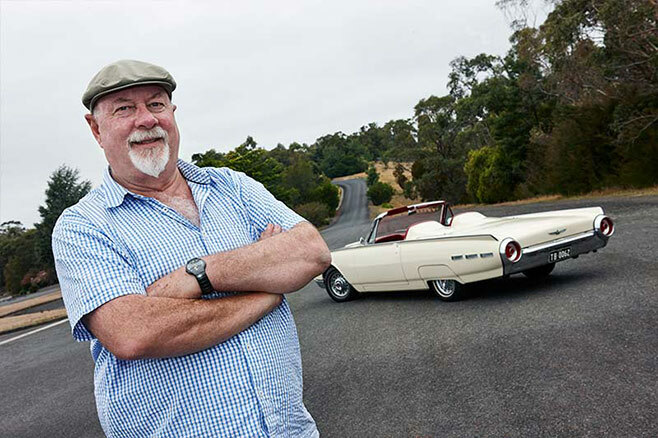 We've featured some other cars from Terry Black’s shed – it’s hard to fault his taste. 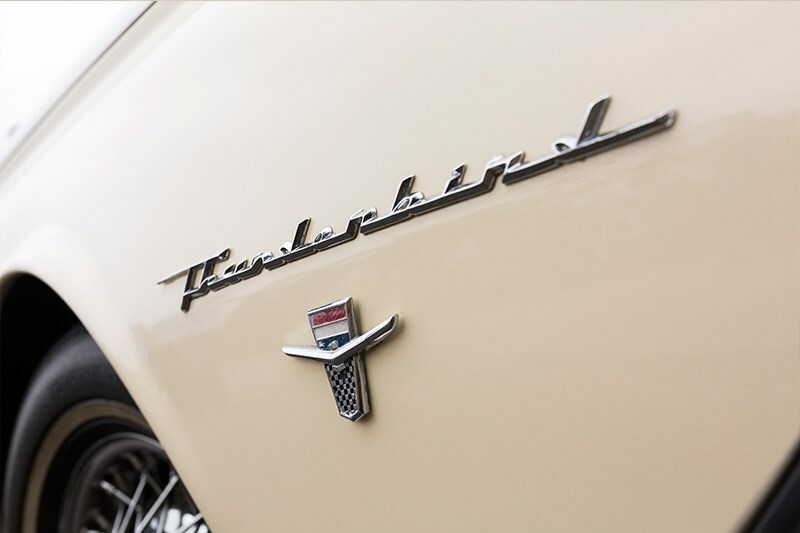 The T-bird joined the fleet in 1993. "It was a solid car but when I first bought it but the steering, brakes and suspension were all dreadful, it was a dangerous car to drive. 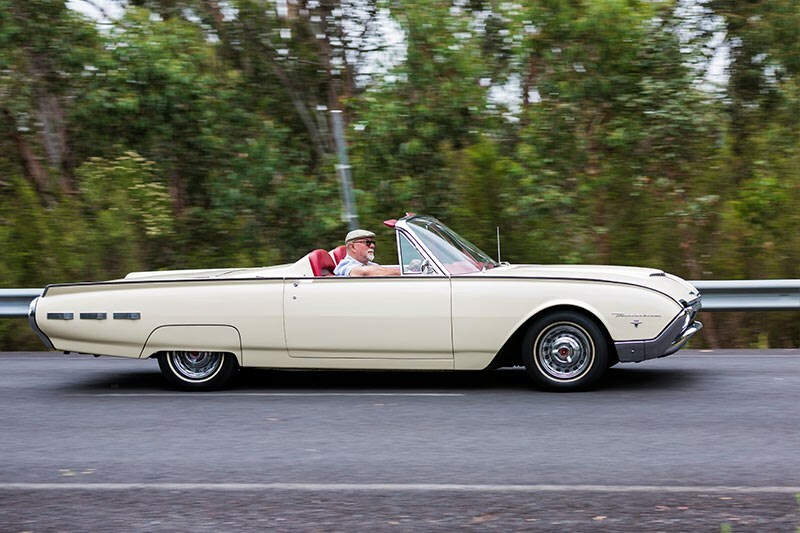 I bought it out of Sydney and trucked it down to Barry Haley (a local T-bird specialist). He corrected all that, repaired the power steering conversion, then I drove it like that, safe nice to drive. 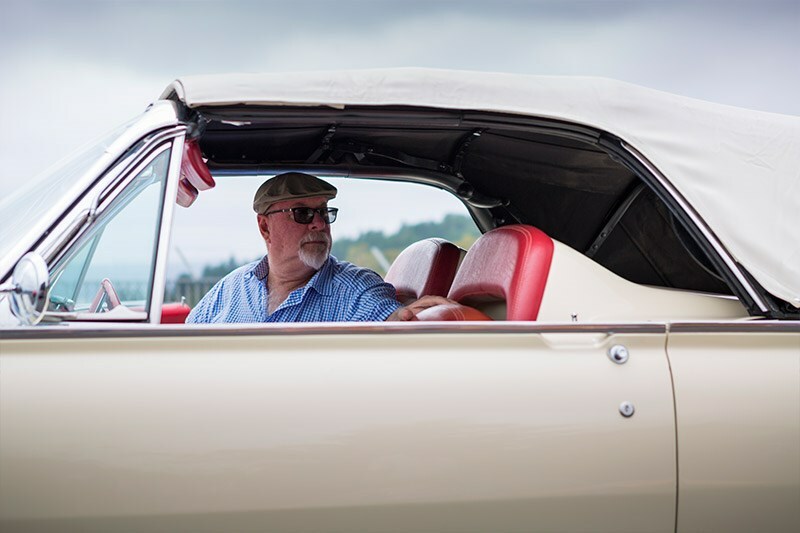 "It’s got a 351 in it, with the three-speed auto which replaced the 390 – again by the Sydney owner – and it drives beautifully now. The only other thing that needed doing was the paint. It started its life in old English white, somewhere along the line it was red, then white again and now I’ve painted it this ivory colour. "So it went to McMasters Panels in Hastings, and he took it back to bare metal. There was no accident damage, and no rust, just a patch about the size of a cigarette packet, otherwise it was a perfect body. 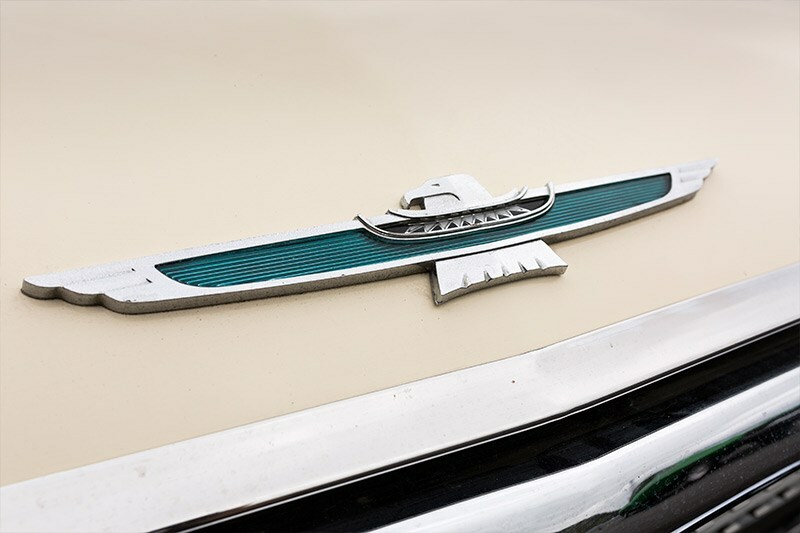 "My first aspiration was a 1950s pre-fins Cadillac. 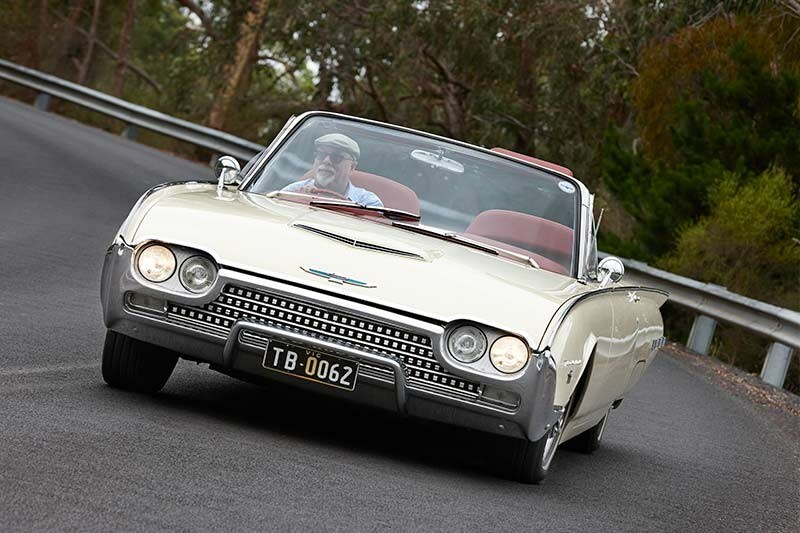 I knew a bloke who had that and a 1962 T-bird and he said the Cadillacs drive poorly while the Thunderbirds drive like a modern car. It’s a beautiful car to drive, it’s easy"